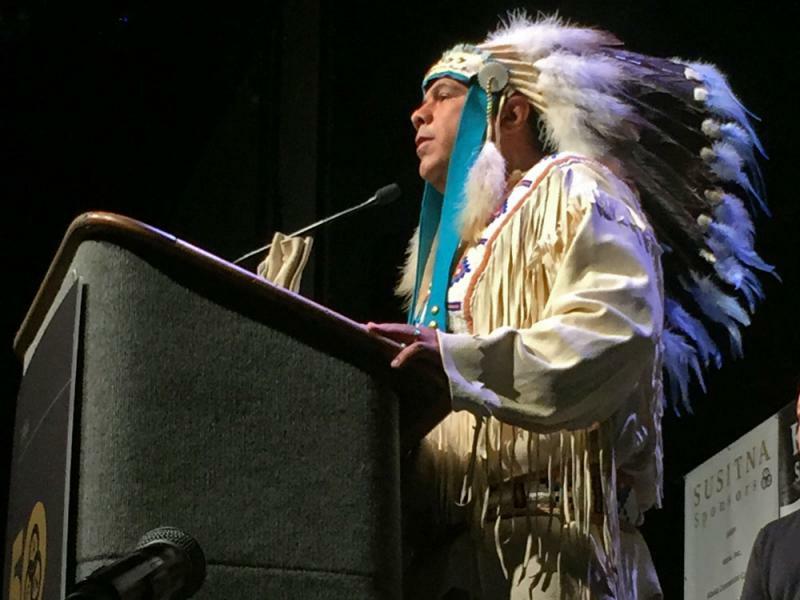 Yakama Tribal Chairman JoDe Goudy says his tribe agreed to give up a swath of land larger than the state of Maryland when they signed the treaty. “We gave up the vastness of that land base for the reserved rights in order to, in this case, conduct trade and our commerce,” he said. Goudy said that in exchange for the land, tribal members could travel freely on public highways. That travel clause is unique to the Yakama Nation’s treaty, and attorneys for the tribe say it also applies to goods brought to market on public highways. Last spring, Washington state’s Supreme Court agreed. In 2013, Washington’s Department of Licensing demanded $3.6 million from Kip Ramsey, the owner and President of the Cougar Den, a gas station in White Swan on the Yakama Reservation. The state argued Ramsey was not allowed to transport gas from Oregon to the reservation without paying taxes. 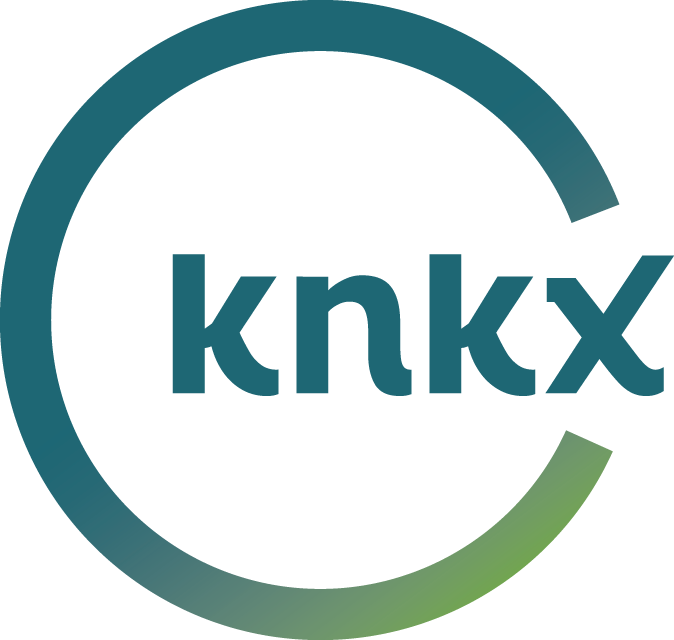 The main question now is whether tribal members should be taxed by the state, if the gas is sold on the Yakama Reservation, which is sovereign under federal law. 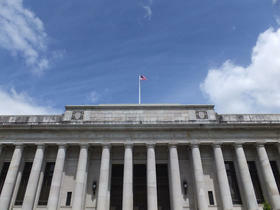 Solicitor General Noah Purcell argued before the court on behalf of Washington’s Department of Licensing. “Washington’s fuel tax taxes fuel, not highway travel,” he said, according to transcripts. “The tax is non-discriminatory and its incidence is off-reservation, so it applies to Cougar Den unless preempted by express federal law,” argued Purcell. But on behalf of the tribe, Adam Unikowksy explained that the Yakama Treaty exempts tribal members from taxes for two reasons. First, in transporting fuel, tribal members would be exercising their right to travel, which was secured by their treaty in 1855. Second, the tax itself, as described in Washington law, is on the transportation of the fuel, not the fuel itself. Justice Elena Kagan seemed to understand Unikowsky’s arguments. JUSTICE KAGAN: It does seem to me that from the Yakama’s point of view, and they’re, after all the people who entered into the treaty, from the Yakama’s point of view, this tax is burdening exactly what they bargained to get, which is the ability to transport their goods without any burdens, without a tax. But Chief Justice John Roberts had questions about who was transporting the fuel and who owned the fuel and whether or not that influenced who was subject to taxation. Notably, recently confirmed Justice Brett Kavanaugh also weighed in. This was Kavanaugh’s first case involving a Native American tribe since his appointment last month. Documents released during his Senate confirmation show Kavanaugh’s publicly questioned the indigenous status of Native Hawaiians. That raised eyebrows in Indian Country and beyond. In the case of the Cougar Den, an exchange between Solicitor General Purcell and Justice Kavanaugh showed Kavanaugh understood the Yakama’s argument. JUSTICE KAVANAUGH: But they were told at the time of the treaty that you could go on the roads to take your things to market, as if you would be treated off-reservation, as if you were still on the reservation. MR.
JUSTICE KAVANAUGH: But the effect - -the effect was that, in taking your goods to market, which was the promise, in exchange for a huge area of land, an area of land the size of the state of Maryland that was given up by the tribe, that you could take your goods to market. For Yakama Chairman JoDe Goudy the day was both frustrating and liberating. “Well, I’m always hopeful, but there is never really a time where we are seeing and feeling peace amongst us Native people and Native nations,” he said.